Having trouble imagining Nicolas Cage as Superman? No worries, here's a picture to help you envision it before I go into this here. Now that we've got that nightmarish image out of the way, here's a new interview Cage did about that one time that he was almost Superman: In a new interview with the UK's Metro, Nicolas Cage commented that Warner Bros. was "scared" of his version of Superman, because "I can tell you it would have been gutsy." Pictures of you dressed as Superman for Tim Burton’s aborted movie surfaced online. How close did you come to making the film? Very close. Look, I’m not going to be one of these guys that’s going to be, like, lamenting things. But is Tim Burton one of my favorite directors? Yes. Did I see some of the drawings of where he wanted to go? Yes. And I will tell you, they were fantastic and it would have been a mind-blowing experience. Did I have a concept of how to play the character? Yes, and I can tell you it would have been gutsy. So maybe Warner Brothers got scared because they had two artists that weren’t afraid to take chances. Can you imagine the Internet shitstorm that would have occurred if Nicolas Cage had played Superman? You thought it was bad for Ben Affleck when he was cast as Batman in Zack Snyder's upcoming Batman vs. Superman? That would be nothing compared to this. Warner Bros. wasn't scared of his artistry, they were scared he'd make them look ridiculous. Sorry, Nic, but they were just lookin' out for ya. 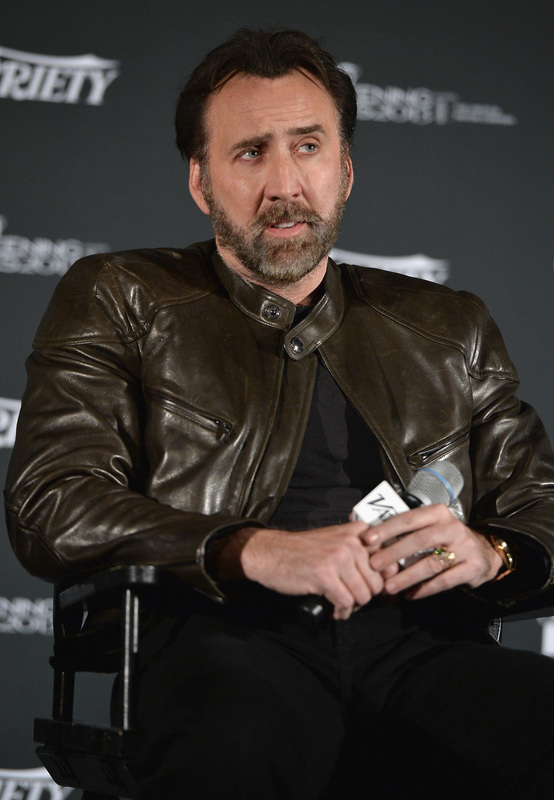 Now, let's all watch this clip of Cage's most ridiculous moments, and remember the good times.